Toddlers eating cereal is a messy, often wet, affair. Bowls get dropped. Milk gets spilt. Cereal goes flying. 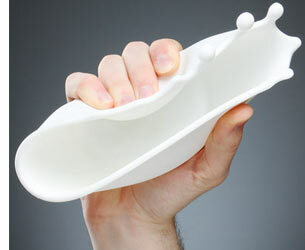 It’s like eating out of a high speed photograph of a milk splashing out of a bowl. 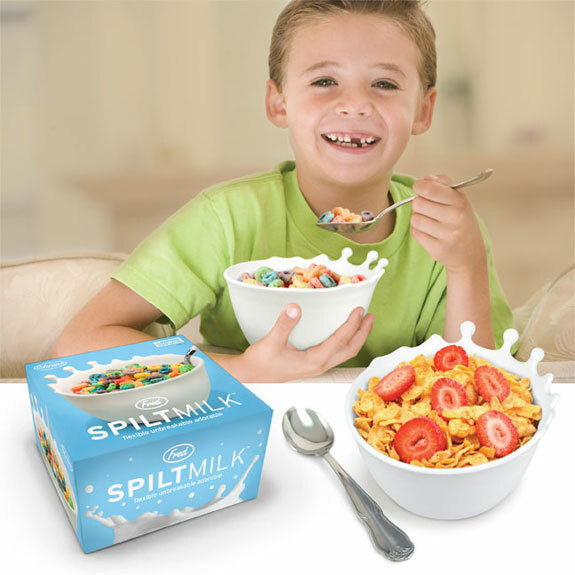 The Spilt Milk Bowl has the look of the impending disaster you probably feel watching younguns feed on cereal. 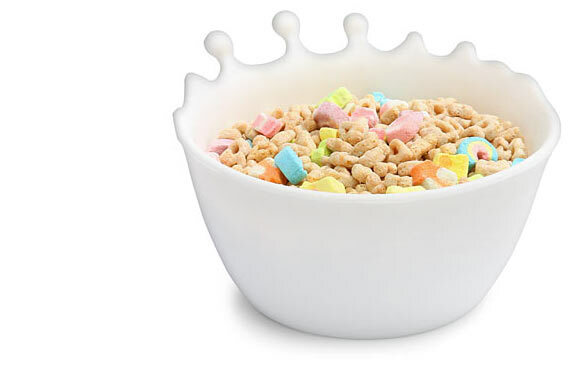 But this silicone bowl won’t break (in fact, it’s bendable) and after breakfast is top-rack dishwasher safe. 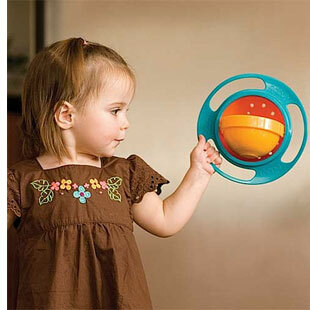 This bowl’s built in “food catcher” will only catch food if children drop it just-so. But the suction cup on the bowl’s bottom will bring up the odds of that happening—and keep this bowl firmly rooted in one spot. The Boon Catch Bowl is made of a soft material that’s free of harmful chemicals such as BPA, PVC and Phthalates; so your children will be as safe chewing on the bowl as they are on whatever is inside it. 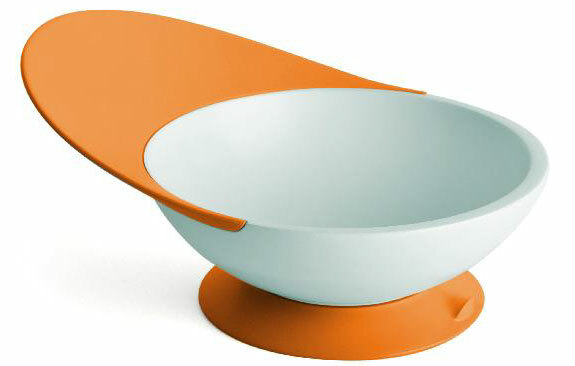 It’s part kid-friendly bowl, part food carrier, part we-know-not-what-but-it’s-really-cool. Loopa employs an automatically closing lid and an ingenious swivel-within-a-swivel design to create a bowl that can be rotated 360 degrees in any direction without the contents inside spilling out. 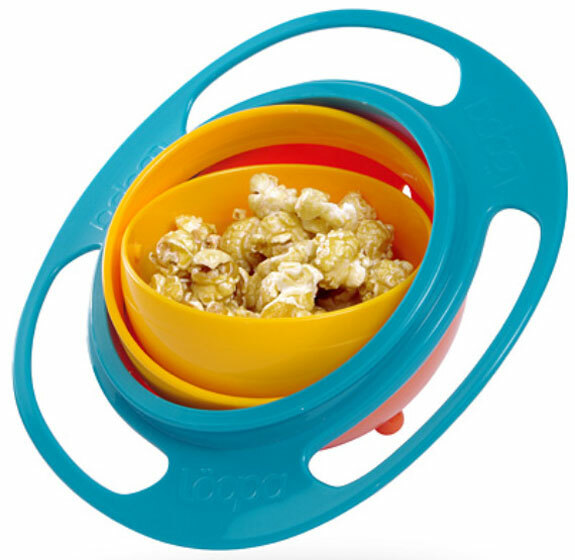 Though the Gyroscope Bowl isn’t microwave safe it is virtually indestructible and dishwasher-able.